Murray will enter the tournament desperately trying to shake off a hip injury which played a part in his Queen's Club title defence coming to an abrupt end in the first round last week. 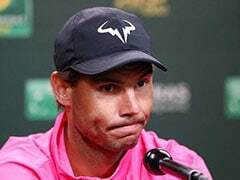 Defending champion Andy Murray was drawn to potentially face fellow two-time winner Rafael Nadal in the Wimbledon semi-finals on Friday while Roger Federer, chasing a record eighth crown, was lined up to face three-time titlist Novak Djokovic. Top seed Murray will start his campaign on Monday against a qualifier while second seed Djokovic tackles Slovakia's Martin Klizan before a tricky possible third round clash with old rival Juan Martin del Potro. Federer, seeded third, starts against Alexander Dolgopolov of Ukraine while fourth-seeded Nadal, fresh from a 10th French Open triumph, has Australia's John Millman in the first round. If the 30-year-old negotiates the first round, he would then possibly face Portugal's Joao Sousa with Dustin Brown a potential third round rival. German showman Brown famously defeated Nadal at Wimbledon in 2015 when he was ranked at 102. Murray could face France's Lucas Pouille in the last 16 while Djokovic, seeded two despite his world ranking having slipped to four after a slump which has seen him lose possession of all four majors, has a fourth round meeting lined-up with Gael Monfils. Djokovic's meeting with del Potro could prove the highlight of the first week. The Serb defeated the giant Argentine in a memorable five-setter in the semi-finals in 2013 while Del Potro triumphed over the Serb at the Olympics last year. 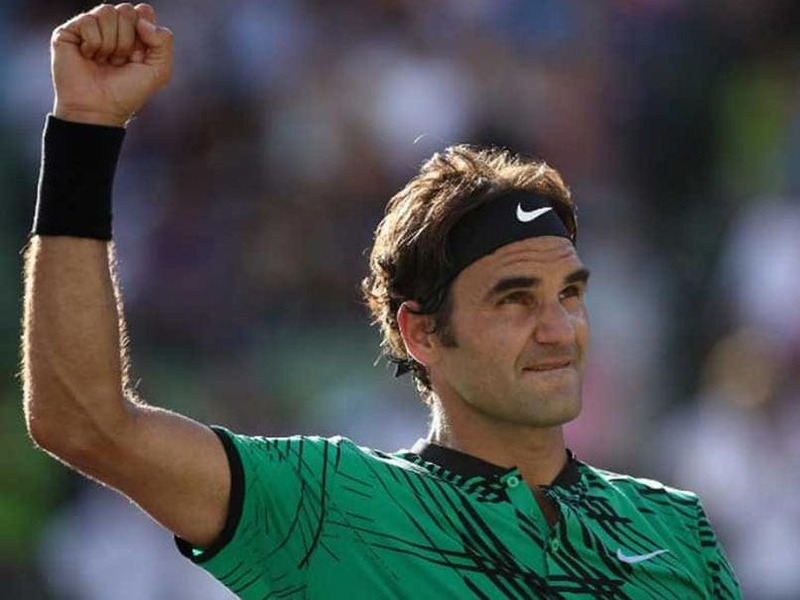 Federer has a possible last-16 duel with Grigor Dimitrov and quarter-final against either 2016 runner-up Milos Raonic or Alexander Zverev who was swept aside by the Swiss star in the Halle final last week where the veteran claimed a ninth title. 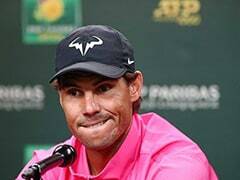 Nadal, meanwhile, has big-serving Gilles Muller as a possible last-16 foe and Japan's Kei Nishikori or former US Open winner Marin Cilic in the last eight. 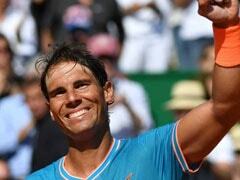 It is possible that Nadal and Federer could meet in the final for the fourth time after 2006, 2007 and 2008. 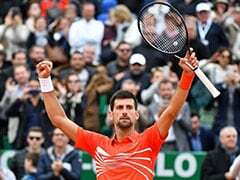 The Spaniard won their clash nine years ago in five sets and over almost five hours in a final widely regarded as one of the finest ever at the Slams. With defending champion Serena Williams and former champion Maria Sharapova both missing from the women's tournament, this year's tournament is considered the most wide open in years. Second seed Simona Halep, the French Open finalist, would face Johanna Konta who is bidding to become Britain's first women's Grand Slam winner since Virginia Wade at Wimbledon in 1977. Konta's participation, however, was thrown into doubt as she withdrew from her semi-final at Eastbourne on Friday with a thoracic spine injury. Five-time champion Venus Williams opens against Belgium's Elise Mertens while new mother Victoria Azarenka, a former number one and playing her first major for more than a year, tackles young American Cici Bellis. 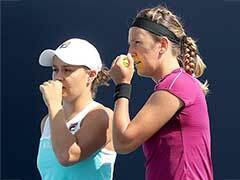 Emotional favourite Petra Kvitova, the two-time champion and slowly recovering from a terrifying knife attack at her home in the Czech Republic last December, begins against Sweden's Johanna Larsson.